Welcome to Corrine Hasbany's self-paced Accounting I. This professor-led courses will include videos for certain topics of the course, study guides, practice problems using a white board, drop-in online office hours, wikis and practice quizzes. The course aims to be a much more engaging version of ACC101 with more communication with an experienced business woman and Accounting instructor. 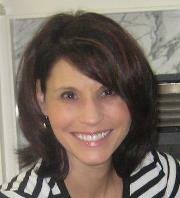 Corrine Hasbany has over twenty years experience in the Accounting and Finance field. She has worked in several different industries as a Corporate Controller, Senior Manager of Financial Reporting and an Accounting Manager. Corrine’s experience ranges from financial statement preparation/analysis, SEC reporting, international accounting, budgeting, audit management, A/P, A/R, general ledger close, inventory and cost analysis and payroll. Corrine is currently a consultant for large and small businesses in various industries assisting them in all aspects of accounting and finance. In addition to consulting, Corrine is an instructor of accounting, finance and other business courses for several colleges and universities. She teaches in the online, hybrid and face to face environments. She is a faculty mentor as well as a facilitator for student workshops. She is also a subject matter expert in accounting and finance and assists clients and institutions in creating course content, assessments and supplements. Corrine has an MBA with a concentration in Accounting as well as a Bachelor of Science degree with a concentration in Finance. She also earned a certificate in online course design and development and a certificate in instructional technology. Identify and apply Generally Accepted Accounting Principles (GAAP). Apply the steps of the accounting cycle. Post and analyze transactions using ledgers and journals. Record adjusting entries for prepaid expenses and unearned revenue. Complete an adjusted trial balance. Explain the purpose of the sales journal and the Accounts Receivable ledger and post entries to both. Record the costs associated with the acquisition of property, plant, and equipment. Explain the purpose of and prepare entries for the purchase order journal and accounts payable (A/P) ledger. Identify the fundamental principles of an accounting information system. Describe the users of accounting information, their informational needs, and the people responsible for providing this information. Explain why ethics and personal integrity are important issues in the practice of accounting. Review the importance of GAAP in relation to various standard bodies, including the SEC, FASB, and IASB. List the steps in the accounting cycle. Describe the various source documents required for processing an accounting transaction. Explain the processes of journalizing and posting. Outline the process of balancing and its importance. List the different stages of a trial balance. Outline the process of entering adjustment entries to journals. Identify different financial statements that can be completed at the end of an accounting cycle. Describe the process of closing accounts and explain why it is important. Define assets, liabilities, and equity. State the fundamental accounting equation. Explain the elements of an income statement, and explain its purposes and uses. Define the elements of a statement of owner's equity (SOE,) and explain its purposes and uses. List and explain the elements of a balance sheet, and explain their purposes and uses. Define the terms debit and credit. Understand the role of double-entry bookkeeping in journalizing and posting transactions. Record and analyze transactions using T-accounts while maintaining the integrity of the accounting equation. Explain the importance and purpose of a trial balance. Compare and contrast accrual and cash basis reporting methods in relation to the accounting period principle. Explain the importance of revenue recognition and the matching principle. Identify various types of adjusting entries for accruals, and describe how accounts are adjusted. Understand and complete an adjusted trial balance. Explain the closing process including the use of temporary and permanent accounts and record closing entries. Create a post-closing trial balance. Name the steps in the accounting cycle. Describe the classification structure and categories. Identify the various types of cash transactions including receipts and disbursements. Explain the purpose and use of a petty cash fund. Describe the purposes, principles, and limitations of limitations of internal controls. Identify the major guidelines and internal measures for controlling cash receipts and disbursements. Describe how accounts receivable are recognized and valued. Record transactions for different types of credit sales. Record transactions for sales allowances and returns. Describe how to estimate bad debt expense. Post adjusting entries using the percent of sales, percent of A/R, and aging of A/R methods. Describe the physical elements, controls, and costs that make up inventory valuation. Calculate the cost of inventory using the specific identification, first-in first-out, last in-first out, or weighted average method. Determine the value of inventory using the Lower of Cost or Market method. Account for subsequent improvements of property, plant, and equipment. Define the term depreciation, and utilize particular methods to record depreciation expense. Record the appropriate entries for the disposal of plant, property, and equipment for a realized gain or loss. Explain the procedures for acquiring and accounting for natural resources. Identify the procedures for acquiring and accounting for intangible assets. Explain the purpose of and prepare entries for the purchase order journal and the accounts payable (A/P) ledger. Describe how accounts payable are recognized and valued, and then record transactions for different types of payables. Analyze and record transactions for returns and allowances. Describe common types of liabilities, methods for estimating their values, and their implications for accounting purposes. Define short-term notes payable and demonstrate the ability to record journal entries for these transactions. Discuss how deferred taxes are accounted for and the journal entries that are required to account for these items. Explain how to account for contingent liabilities and the journal entries needed to record these liabilities. Determine if a person is an independent contractor or an employee using various criteria. Compute wages payable for full-time, part-time, salaried, hourly, commission, and piece-rate employees. Demonstrate the ability to calculate payroll tax deductions and liabilities including vacation, health, and pension-related transactions. Describe the responsibilities for withholding and submitting payroll taxes to the federal government. Describe the components of an accounting information system. Explain the need for special journals and how to post to and from these journals. Explain the use of subsidiary ledgers in an accounting system. Explain the impact of technology on small, mid-size, and large companies' accounting systems. There are no prerequisites to take Accounting I. With 55 years of success in the principles of accounting market, Fundamental Accounting Principles, 19e by Wild, Shaw and Chiappetta has endured and adapted to changes in accounting, technology, and student learning styles. Its innovation is reflected in its extensive use of small business examples, the integration of new computerized learning tools, superior end-of-chapter material, and a highly engaging, pedagogical design. Inclusion of Carol Yacht's General Ledger and Peachtree application software provides students every advantage as they strive to understand the key concepts of accounting and their role in business. At the end of the course, each student will receive the number of points earned. The student's final letter grade is determined by the corresponding institution's grading scale. Create your own custom Accounting I ! Select up to courses from the list below.